A chilling ghost story with a twist: the New York Times bestselling author of The Winter People returns to the woods of Vermont to tell the story of a husband and wife who don't simply move into a haunted house--they build one . . . In a quest for a simpler life, Helen and Nate have abandoned the comforts of suburbia to take up residence on forty-four acres of rural land where they will begin the ultimate, aspirational do-it-yourself project: building the house of their dreams. When they discover that this beautiful property has a dark and violent past, Helen, a former history teacher, becomes consumed by the local legend of Hattie Breckenridge, a woman who lived and died there a century ago. With her passion for artifacts, Helen finds special materials to incorporate into the house--a beam from an old schoolroom, bricks from a mill, a mantel from a farmhouse--objects that draw her deeper into the story of Hattie and her descendants, three generations of Breckenridge women, each of whom died suspiciously. As the building project progresses, the house will become a place of menace and unfinished business: a new home, now haunted, that beckons its owners and their neighbors toward unimaginable danger. 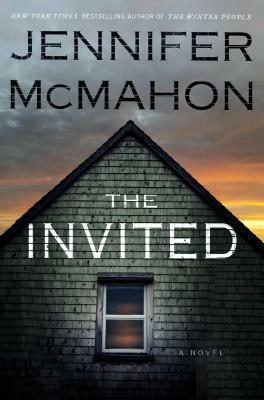 JENNIFER McMAHON is the author of nine novels, including the New York Times bestsellers Promise Not to Tell and The Winter People. She graduated from Goddard College and studied poetry in the Master of Fine Arts Writing program at Vermont College. She lives in Vermont with her partner, Drea, and their daughter, Zella. A dream home becomes one of nightmares for a husband and wife attempting to start a new life in the woods of Vermont. Board by board, stone by stone, tragic events of the past creep toward the light in this delicious slow burn of a haunted tale.